The Best Office Furniture blogs from thousands of top Office Furniture blogs in our index using search and social metrics. Data will be refreshed once a week. Office Furniture newsletter is a comprehensive summary of the day's most important blog posts and news articles from the best Office Furniture websites on the web, and delivered to your email inbox each morning. To subscribe, simply provide us with your email address. United Kingdom About Blog Read the Kit Out My Office Blog - Featuring office furniture news & articles. We talk about all things office related, including productivity & desk trends. Facebook fans 8,122. Twitter followers 4,191. Jacksonville, Florida About Blog Enjoy information and useful shopping tips regarding the latest styles and trends for all things office furniture. Product reviews, coupon alerts, and shopping tips to consider when shopping for office furniture and office chairs online. Facebook fans 404. Twitter followers 27,806. Australia About Blog Unique and insights and inspiration for HR's, Architects, Executives, and Designers. JP Office Workstations creates workplace solutions that uplift the performance of people and business. Facebook fans 1,513. Twitter followers 352. El Segundo, California About Blog Modern offices, designed for the future. Full-service office design & furniture installation firm, helping businesses transform their traditional work spaces. Facebook fans 288. Twitter followers 315. Lahore, Pakistan About Blog Profine-World offers attractive, comfortable and durable office furniture in Lahore & Islamabad for your new or existing office. Facebook fans 71,718. Twitter followers 4. Bridgeport, PA About Blog New and Used Office Furniture topics about layouts, designs, trends, tips, techniques, and anything else you would want to read in an Office Furniture blog! Facebook fans 1,486. Twitter followers 9,820. San Francisco, CA About Blog OfficeChairs is a place for all things office chairs. You can post a review of your own, ask for a review of one you are willing to buy, or find out more information. Facebook fans 1,144,842. Twitter followers 505,642. Wausau, WI About Blog BTOD.com is your source for high quality office furniture. Home of the popular VertDesk standing desk. Facebook fans 1,341. Twitter followers 755. London, United Kingdom About Blog Andrews Office Furniture are a family owned and run business established in 1972 and are suppliers of both new office furniture and quality used office furniture. They also offer free a space planning service and can visit your office and prepare 2D and 3D CAD layouts to help you decide the most efficient and cost effective design for your office interiors and office furniture in London. Facebook fans 155. Twitter followers 474. MN, AZ, WI, IL About Blog News from Atmosphere Commercial Interiors, one of the largest office furniture dealers in the US, and an authorized Steelcase Dealership. Atmosphere Commercial Interiors is an authorized Steelcase Dealership that provides high-quality office furniture and services. Facebook fans 737. Twitter followers 6,056. Milwaukee, Wisconsin About Blog National Business Furniture is America's leading provider of office furniture to large and small businesses, government agencies and other institutions. Facebook fans 1,653. Twitter followers 3,060. Kelowna, British Columbia About Blog Source Office Furnishings Canada offers a full line of office furniture solutions throughout British Columbia, Alberta, Saskatchewan and Ontario. Facebook fans 580. Twitter followers 792. Chennai, India About Blog Boss's Cabin presents a mind boggling range of the ultimate in office furniture. Headqautered in Chennai with a 5000 sft showroom. Their mission is to spoil the Indian CEO with a huge range of swanky, luxurious office furnitue options. Facebook fans 2,630. Twitter followers 4. Mascot, New South Wales About Blog Krost offer a turnkey commercial furniture service. Through their office furniture selection, they will help you shape the right corporate image, have the most productive workplace and create the largest possible return on your investment. They are more equipped than ever to offer you the complete office furniture solution. San Carlos, California About Blog InsideSource helps you throughout your project. We provide more than office and community space furnishings - we help you make space work efficiently and look great too. Bay Area's commercial office furniture dealer, in-house services - design, architecture, project management, creative services. Facebook fans 607. Twitter followers 3,693. San Diego, CA, USA About Blog Edeskco offers the largest selection of modern executive desks, reception counters, conference tables & contemporary office furniture. Their mission is to delight their customers by offering an exclusive range of stunningly impressive office furniture. Facebook fans 279. Twitter followers 391. Jacksonville, Florida About Blog Office Furniture Deals is the premier source for high quality business office furniture. Their goal is to provide you with the latest design trends, remodeling tips, product reviews, and deals needed to help you rock your makeover projects without breaking the budget. Here you'll find everything from office furniture reviews to helpful posture tips for healthy operating. Facebook fans 728. Twitter followers 980. Indianapolis, IN About Blog A collection of articles from the Office1010 Office Design team written on everything from office design to changing your company culture. Office 1010 was established to help the consumer find 10 out of 10 rated office furniture quickly and efficiently. Office1010 also provides office designs for free and then chooses the perfect furniture for the design. Facebook fans 336. Twitter followers 17. About Blog Focus Interiors offers the best quality office furniture in Lahore & Islamabad. Get our custom, durable & executive office furniture for your new & existing offices. Facebook fans 4,407. Twitter followers n/a. Kempton Park, South Africa About Blog We are business furniture suppliers that offer a wide range of modern, elegant office desks, office chairs and everything else you need to transform your office into a space. Facebook fans 851. Twitter followers 28. UK About Blog An affordable pricing structure and a professional, environmental and ethical approach make 2ndUserFurniture the most exciting new used office furniture dealer in the UK! We recycle, we buy, we trade, we sell superior used office furniture; we offer the complete service. Reading, England About Blog Office Life - blog for greener office furniture solutions featuring interior designers, recycled designer furniture ideas and our favourite case studies. Facebook fans 111. Twitter followers 1,072. Somerset West, South Africa About Blog We supply quality office furniture at incredible prices in South Africa. Manhattan, NY About Blog Office Furniture Heaven are passionate about furnishing and creating comfortable, healthy, and dynamic offices. They maintain a can do, optimistic approach and strive to make the process of designing and furnishing your office fun. Facebook fans 58. Twitter followers 5. Baltimore, Maryland About Blog We create exceptional workspaces for your business. Hyperspace is a commercial interiors company and furniture dealer, specializing in creating great spaces for your workplace. Facebook fans 498. Twitter followers 239. Mumbai, India About Blog Chair Suggest is your home of value when it comes to choosing and purchasing the best office chairs, office chairs manufacturer, office chairs repairing. They are specialized in the field of advanced productions of Office Chairs, Sofas & Furniture. Austin, Texas About Blog Smart Buy’s blog offers tips on selecting the right office furniture for your Austin office; our latest: office desks, chairs, tables, etc. ; and company news. Facebook fans 536. Twitter followers 44. Fort Myers, Florida About Blog Southwest Florida's largest office furniture showroom. We also provide flooring, design, inventory management, window covering, and remodeling services. Facebook fans 803. Twitter followers 526. Houston, Texas About Blog Velocity Business Products is your Houston Office Furniture and Office Supplies Source. They offer free, next-day delivery to anywhere in the country. Facebook fans 1,059. Twitter followers 427. About Blog Keep up with articles from BiMi Office Furniture. Dubai About Blog Manufacturing and exporting high quality office steel furniture to its clients the world over. RIGID is established in the Sharjah Airport International Free (SAIF) Zone, United Arab Emirates. Facebook fans 223. Twitter followers 118. About Blog Ace Office Furniture Houston Sells New and Used Office Furniture including Desks, Chairs, Tables & files. Delivery/Install in Houston and surrounding areas. Austin, Texas About Blog Office Furniture NOW! provides new, refurbished & pre-owned office furniture, space planning and design in Austin, Central, TX and nationwide. Facebook fans 202. Twitter followers 977. Fort Wayne, Indiana About Blog Workspace Solutions, in Fort Wayne and Warsaw, Indiana specialize in finding creative solutions to your workspace needs. We carry quality hardworking office furniture including office desks, chairs, workstations, conference tables, receptionist desks and reception furniture that look great, wear well, all at a competitive price. Facebook fans 236. Twitter followers 32. United Kingdom About Blog Read our latest news, offers, and blogs posts about home and business office furniture, plus hints and tips on how to make the most of your workplace. We are a family-run business supplying office furniture to companies and home office users around the UK. White office furniture including white office desks, chairs, pedestals, drawers, tables, and more. Facebook fans 12. Twitter followers 15. Baltimore, MD About Blog Glover Furniture and Design Group Inc. is a woman owned business supplying the region with educational, institutional and commercial furniture. Their goal at Glover Furniture and Design Group, Inc. is to provide our clients with the gold star standard in customer service. Facebook fans 27. Twitter followers 10. Pittsburgh, Pennsylvania About Blog This is the blog of Direct Office Chairs. We discuss everything office chairs as well as post useful guides and information regarding the same. Facebook fans 123. Twitter followers 17. Crawley About Blog Wave Office LTD is based in Crawley and specialises in office refurbishment, furniture and stationery. Covering the South East, London and beyond. They are providing Office Chairs & Desks, Meeting, Reception & Canteen Furniture & Full Office Refurbishments. Facebook fans 29. Twitter followers 438. Salt Lake City, Utah About Blog Online Office Furniture is one of the leading suppliers of office furniture online. Online Office Furniture is a premier provider of quality and affordable workplace furniture. Hazelwood, Missouri About Blog New/pre-owned office furniture sales, service and commercial relocation. Facebook fans 116. Twitter followers 122. Dubai, United Arab Emirates About Blog Humanspace Office Furniture Dubai Blog to get latest Updates on Executive Furniture and Company Updates and Furniture Events in Middle East, UAE,Dubai. Their mission is to offer clients a range of excellent brands and furniture solutions to meet all budgets, and to offer the best customer service in the market. Facebook fans 2,063. Twitter followers 240. San Diego, California About Blog ABI Office Furniture is a locally owned family business started by Darles and Ralph Wlde in 1996. Best Cubicles, Ergonomic San Diego Office Chairs, Office Desks San Diego, new and refurbished Cheap Office Furniture. Facebook fans 212. Twitter followers 4. Halifax, England About Blog VergoUK is one of the UK’s leading providers of office interiors, providing business furniture, office products and supplies, orthopaedic seating and ergonomic furniture, offering every client the opportunity to work with individuals who have real expertise in their field. Office interior specialists working primarily in the education sector and office-based workplaces. Facebook fans 120. Twitter followers 996. Jacksonville, Florida About Blog Read our blog to know more about tips and tricks to follow when choosing Furniture and Flooring supplier also know about the rental, installation tips and more. Premier office furniture and commercial flooring supplier in Jacksonville. We have options available at all price points and will work diligently to create your dream workspace. Facebook fans 490. Twitter followers 126. Cincinnati, OH About Blog Read the latest news from our office furniture company and find inspiration from the latest trends within the office design industry. Facebook fans 365. Twitter followers 2,290. Phoenix, AZ About Blog Interior Avenue is a roadmap for Businesses, A&D, and CRE Brokers. Helping make your projects more affordable and design friendly. Coworking enthusiasts. Facebook fans 74. Twitter followers 324. Ontario, California About Blog PnP Office Furniture has the best selection of affordable, quality new and used office furniture in the Inland Empire. We accommodate all needs and budgets. Toronto, Ontario About Blog Keep visiting us to get latest news & information about Office Furniture Toronto, Mississauga & Vaughan including Custom Cabinets, Chairs, Tables & Desks. Facebook fans 229. Twitter followers 1. Redding, CA About Blog From ergonomic chairs to full office design and set up, Caliber Office Furniture offers the best of it all. Cockeysville, Maryland About Blog Mark Downs offers office furniture, home office furniture, home computer furniture, HON office furniture, computer furniture. They deliver in Washington DC, Southern Pennsylvania,and Northern Virginia. Facebook fans 182. Twitter followers 208. Annapolis Junction, Maryland About Blog Edwards & Hill is a leading office furniture supply and installation firm, able to install one cubicle with its applicable furnishings and computer hardware, yet equally adept at installing hundreds of cubicles, performing office re-location and re-configuration services, including workstations, multiple offices, chairs, filing cabinets, and more. Facebook fans 60. Twitter followers 226. Bristol About Blog Consolidate your office supplies. Braley’s supplies office supplies, office furniture and educational supplies to Bristol. Braleys we make working life easier. Facebook fans 105. Twitter followers 164. Milwaukie, OR About Blog NW Office Interiors is a local, family owned office furniture dealership with experience in the industry amounting over 100 years. Pittsburgh, Pennsylvania About Blog Mahla Office Furniture is your source for new and used office furniture, rentals, and exclusive interior planning services. Facebook fans 42. Twitter followers 34. Albany, GA About Blog Flint Office Furniture of Albany, Georgia, offers the products and services you need to increase productivity and improve your office’s environment. Their mission is to provide the best office furniture for your home office or entire office floor, we have contracts with top-notch workstation builders. They have a state contract with Global Total Office, Global Offices to Go and Indiana Furniture. 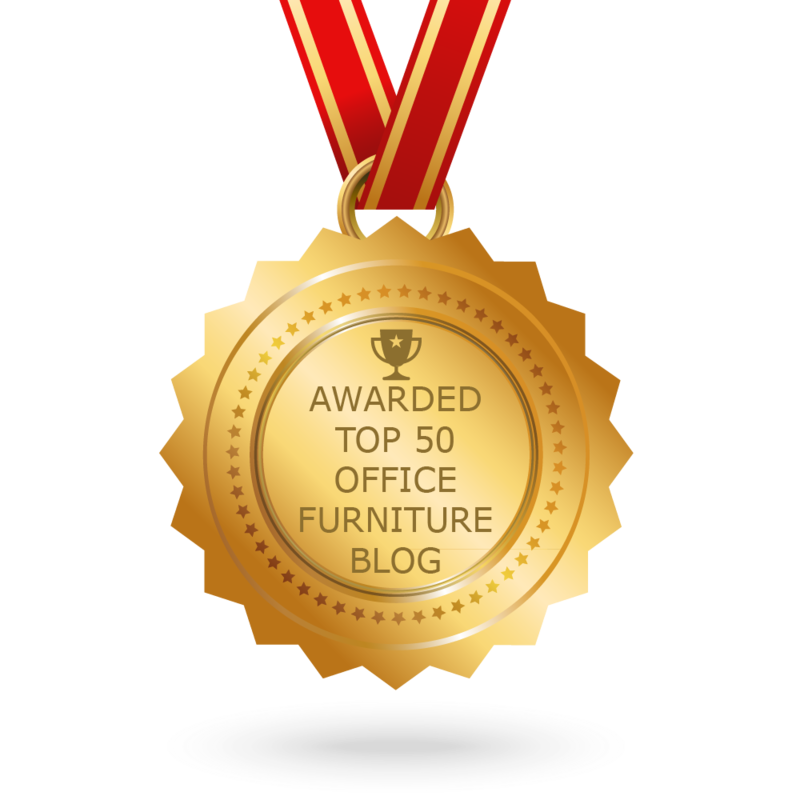 CONGRATULATIONS to every blogger that has made this Top Office Furniture Blogs list! This is the most comprehensive list of best Office Furniture blogs on the internet and I’m honoured to have you as part of this! I personally give you a high-five and want to thank you for your contribution to this world.